At Anton Jungherr’s home in Hercules, two dachshunds bark bloody murder from the other side of the door. Even as Jungherr opens it with a welcoming greeting and smile, the two four-legged sausages, Nathan and Olive, continue to yelp as they circle around the cuffs of his khaki pants. 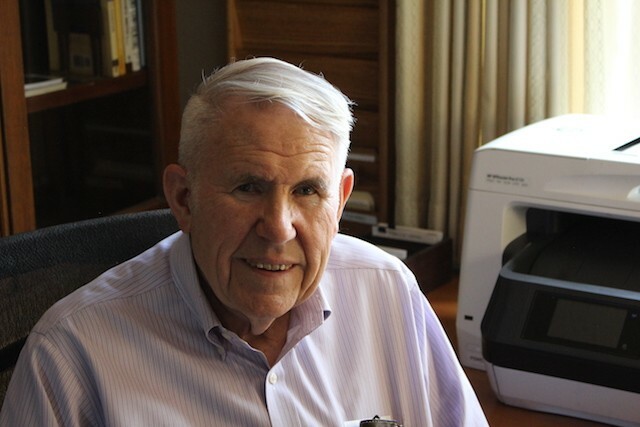 At 85, the silver-haired Jungherr, his cheeks hanging comfortably over his square jaw, knows much more about school bonds than most Californians. The West Contra Costa Unified School District is home to nearly 32,000 students from Richmond, El Cerrito, San Pablo, and nearby cities, including Hercules, and Jungherr has served on its citizen bond oversight committee since 2004. He also co-founded the California League of Bond Oversight Committees, a nonpartisan group that promotes school district accountability. Jungherr contends that, over the years, school districts like West Contra Costa have been using local bond money to build “nice-to-have” rather than “need-to-have” facilities, and have been watched over committees that have received little training and whose members are too cozy with school district officials. He says that without incentives or mandates to change, school districts will continue to spend their money on whatever they want with little recourse. In the last two decades, voters in the West Contra Costa Unified School District have approved more than $1.6 billion in school bonds. That money, like the nearly $200 billion in school bonds passed all over California during that same period, isn’t meant for hiring more teachers or increasing their salaries or relieving them from the obligation of buying supplies for their classrooms. It doesn’t fund mental health services, after-school programs, or free lunches for hungry kids. It’s meant for brick-and-mortar improvements like updating heating and cooling systems and building a school from the ground up. And West Contra Costa has done that, taking its once dilapidated schools and turning many of them into state-of-the-art educational facilities. But was the money to improve the district’s schools used as wisely and prudently as possible? There had been allegations of waste and fraud, and community members tasked with keeping tabs on the bond funds say the district hasn’t followed oversight requirements mandated by state law. 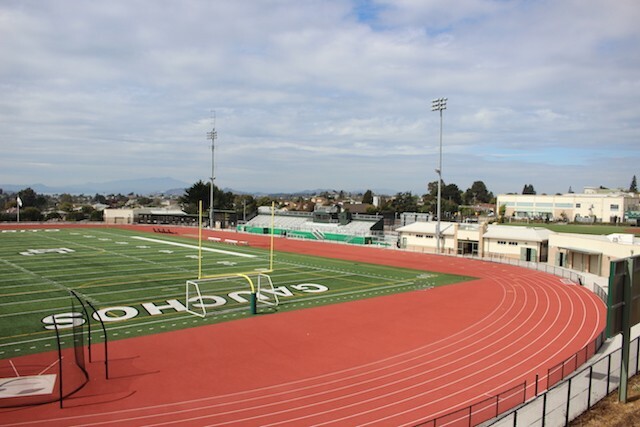 One Contra Costa County grand jury investigation pointed to numerous problems with the school district’s bond oversight committees, including delays and inadequate and inaccurate documentation provided by the district and committee members with conflicts of interest with the school board — all violations of state education codes. A school district whistleblower had even alleged there was “fraud, corruption, and waste” in the bond program, according to district documents. The district Citizens’ Bond Oversight Committee’s annual report released in August 2017 — which included an outside forensic audit of the district’s books — found while the district was making some improvements, it’s spending practices still had some areas of concern. 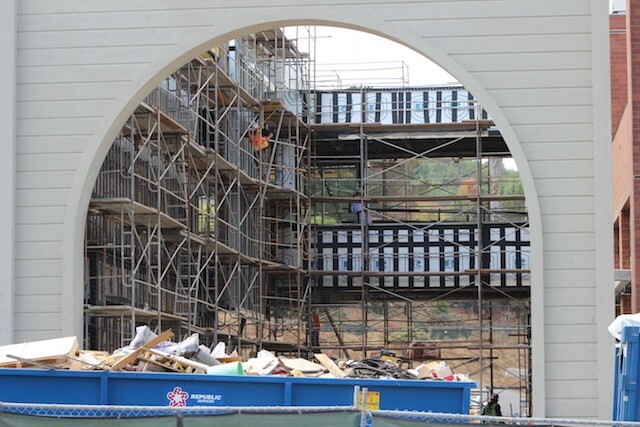 Overall, while oversight was lacking in West Contra Costa, property owners were paying nearly 300 percent of the state average on their property tax bills, school construction costs were three times the state average, and nearly $300 million of the bond went to program management and architects’ fees, not construction costs. Jungherr has pushed for greater school bond oversight across the state, noting that the lack of accountability isn’t exclusive to West Contra Costa. While school districts are required by law to have independent oversight of their multimillion-dollar school bonds, too often, they’re staffed by untrained people who are “appointed by the school district to be quiet,” Jungherr argued. While many cases of questionable school bond spending go under the radar, some financing scandals in California have attracted the attention of the U.S. Department of Justice, the Securities and Exchange Commission, and even the FBI. In some cases, entire school boards were charged, superintendents jailed, and others indicted for illegal practices. Those cases, however, are rare. There was, however, legislation in Sacramento — AB 1253, by Ken Cooley, D-Rancho Cordova — to give more teeth to local watchdogs commissions, but the 2017 bill was opposed by well-funded lobbying groups who continue to push for more school bonds while actively objecting to measures that would keep tabs on how that money is spent. Anton Jungherr, a school bonds expert, says that without incentives or mandates to change, school districts will continue to spend their money on whatever they want with little recourse. AB 1253 ultimately died in committee last January, and California voters continue to pass an increasingly unprecedented number of school bonds, thanks to a concerted effort from private interests that profit off that money. In the 2016 election alone, voters passed a record $28 billion worth of local school bonds across the state. In Alameda and Contra Costa counties, school districts put $777 million in local school bonds before voters in the 2016 election. They all passed — much like 90 percent of all the other school bonds in the state. And that money doesn’t include the $9 billion from Prop. 51, the state’s first school bond in a decade, which voters approved in November 2016. But Jerry Brown, as he nears the end of his 16 years as governor, has been facing increasing criticism from the school facilities industry for not selling bonds authorized under Prop. 51. He opposed the bond measure and saw major holes in its accountability and oversight. In all, Prop. 51 will cost $17.6 billion: $9 billion for the bond and $8.6 billion in interest. At the center of the state’s school bonds is the Coalition for Adequate School Housing, which represents the interests of dozens of groups involved in financing, constructing, and refurbishing public schools all over the state. The group’s acronym is CASH, and its monthly newsletter is called the CASH Register. The coalition has more than 1,100 members, the majority of which come from the private sector, making it the largest group in the nation focused on school facility issues, according to its latest annual report. CASH prides itself in that it has helped pass $62 billion in state bonds for school facilities since 1982. And according to its own documents, CASH plans to “continue to advocate for larger and more frequent bond sales” thanks to “very close relationships with key members” in Sacramento, including lobbying lawmakers to prevent regulation that would affect the state school bond and construction industries. In 2017 alone, CASH formally opposed several pieces of legislation that would have increased voters’ understanding of how school bonds would affect their taxes and legislation that would have increased local oversight of bond fund money. Representatives of CASH declined to be interviewed for this report. In the last several years, UC Berkeley’s Center for Cities and Schools has released reports saying California needs to be spending about $18 billion a year on maintaining and modernizing current public buildings while also building new ones to accommodate growth. But the center’s deputy director and co-founder, Jeff Vincent, said in an interview that school facilities are an “orphaned issue” in education. Bigger school districts, however, have employees dedicated to school bonds, whether applying for state money or managing their own local school bonds. Smaller ones without those resources seek help from outside their district to get the money needed to improve or upgrade their facilities. Until recently, school bonds made it to the ballot via the Legislature. Prop. 51 was the first citizen-initiated school bond, thanks to a signature-gathering campaign from CASH and its members. Beginning in January 2015 — two years before any money would be available — CASH and the California Building Industry Association plowed more than $1.6 million into the pro-Prop. 51 campaign. As Prop. 51 picked up financial steam, it also gained bipartisan support, including that from Gavin Newsom. “The Legislature could do a better job than the developers who put that one together,” Brown added. In essence, they alleged that those firms would contribute to the bond campaign, get hired to manage the bond, and charge higher fees to recoup their expenses. “Not only are these pay-to-play arrangements unlawful, they rip-off taxpayers and endanger the integrity of school bonds, which are vital tools for building classrooms and meeting the educational needs of our communities,” Chiang said at the time. But the concerns from Brown and other public officials were drowned out by the numerous ads on TV and radio, in print, and on social media telling voters to vote yes on Prop. 51 for the good of California’s children. All told, the political action committee in favor of Prop. 51 raised more than $12 million. Its largest single sponsor with $3.2 million was CASH, which has backed every state bond since 1982, according to state disclosure records. Its second largest contributor was the California Building Industry Association, and more than 700 of its 919 contributors were developers or companies who may profit from the bond money and “who regularly have business before school districts and their elected officials,” according to a 2016 report from the University of the Pacific, McGeorge School of Law. CASH has been around since 1978, but its day-to-day operations stem from a Sacramento law firm — Murdoch, Walrath & Holmes — that is registered with the state as a lobbying firm. Representatives of the firm declined to make anyone available for an interview for this report. While experts and academics say schools around the state need repairs and improvements, too often money isn’t spent on what voters approve. With a dramatic increase in school bonds passing in California — thanks to CASH — state and local officials are falling behind on keeping tabs on where that money is spent. CASH also sponsored Prop. 39, a constitutional amendment in 2000 that lowered the threshold of passing a school bond from two-thirds to 55 percent. The measure included mandates for bond oversight committees. Since then, school bonds at the state and local level have passed with a 90-percent success rate. But while the promise of vigorous oversight was key to the passage of bonds passed under the new lower threshold, like other parts of laws dictating California school construction law, it has often been ignored — with few consequences. This June, 30 school districts passed local school bonds, according to the state treasurer’s office. In November, there are more than 100 school construction bonds on local ballots, totaling more than $12 billion. Throughout California, there are many schools that could use the $9 billion from Prop. 51: for example, those built more than a half century or more ago with asbestos in their walls covered by layers of lead paint. But the state doesn’t distribute bond money based on need. Instead, it’s first come, first served, a system that creates a feeding frenzy favoring bigger school districts that have staff dedicated to securing funding for their facilities. The State Allocation Board, the entity that distributes statewide school bond money, noted in a June 2018 report that California’s manner of handing out school bond money leads to severe inequities. Nearly 60 percent of California’s 1,024 school districts are considered small, or have fewer than 2,500 students, but less than 10 percent of Prop. 51 funds have been apportioned to those small school districts and only 5 percent of school districts under financial hardship were awarded money for their projects, the report stated. Bay Area and other school districts are also fuming that, as of early October, Gov. Brown had authorized the sale of only 20 percent of Prop. 51’s funds. Brown’s reluctance to greenlight more school bond money has frustrated education leaders who are depending on the state’s matching grants to make improvements, as first reported by the San Francisco Chronicle. 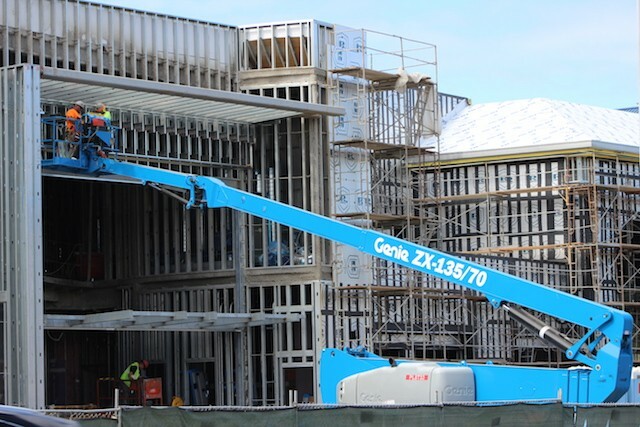 According to state records, in Alameda and Contra Costa counties alone, there are 22 modernization and 15 new construction and charter school facilities projects currently in the state school bond backlog. As of early October, the state had more than $4.1 billion worth of projects requesting state school bond money. Brown authorized the sale of an additional $400 million of Prop. 51 bonds, starting Oct. 17. So why has Brown — Oakland’s former mayor and twice California’s governor who started his political career on a community college board — been so stingy with selling the bonds the voters approved almost two years ago? Brown has argued that Prop. 51 simply carries on old practices of favoring larger and wealthier school districts and private interests. “This has, over time, developed into a very cumbersome and complex process,” said H.D. Palmer, the governor’s spokesperson on budget and fiscal issues. “One of the things Prop. 51 did above and beyond getting voter approval to sell several billions of dollars in K-12 school bonds was to essentially codify a system we found problematic. Unbeknownst to the average Californian who voted for Prop. 51, the last time the state passed a state school bond in 2006, the measure ultimately had no final oversight, even though it was promised to voters and required by law. This allowed some school districts to use school bonds not to build or upgrade their facilities but for superfluous items, a practice some state officials wanted to discontinue. “My guess is that when voters approved Prop. 51, they weren’t approving practices like using voter-approved bond funds to purchase things like golf carts and mascot uniforms,” Palmer said. Don Ulrich stepped up to the microphone in a Sacramento conference room with a smile on his face. It was January 2017, and the first time the now-director of CASH publicly addressed the group’s members after it fueled the passage of Prop. 51. The sharks were circling because in a state of nearly 1,100 school districts, the money earmarked for brick-and-mortar improvements in K-12 schools and community colleges spreads thin quickly. A few hours after CASH’s meeting, some of its members followed the monthly tradition of attending a nearby meeting of the State Allocation Board, which is made up of various state senators, assemblymembers, governor’s appointees, and the head of the state Department of Education, and is chaired by the Department of Finance. The report also noted that school districts had been using bond funds on items with a shorter lifespan than the life of the 30-year bond. One unnamed school district had nearly $1.1 million in suspect costs, including purchasing a pickup truck, two tractors, four golf carts, 23 cameras, apparel for athletic teams and its school band, and even a new costume for its mascot. Others used it for iPads and floor cleaner. In one district, a contractor claimed costs twice for the same project and others couldn’t account for where the money went. “With the passage of Proposition 51, we think it’s appropriate and imperative and timely to address the findings and to prevent these issues from recurring again and to ensure greater accountability of the bond funds,” Silverman said at the January 2017 meeting. Still, voters passed Prop. 51, 55.2 percent to 44.8 percent. When Brown wasn’t releasing the money fast enough, CASH and other groups appealed to the public in 2017, including by writing several op-eds to newspapers criticizing the governor for not selling the bonds. In August 2017, CASH skipped its usual monthly meeting to hold a press conference on the west steps of the state capitol building. Ulrich and representatives for the Assembly Education Committee, the Association of California School Administrators, and the California School Board Association urged state leaders to respect the will of the voters and get the money out to schools. Even with a $2.4 billion backlog in projects — $61 million just for Clovis Unified, where Ulrich is also a deputy superintendent — no school bonds had been sold at the time. As part of the 2017-18 budget process, Brown’s office called for increased accountability and auditing before releasing Prop. 51 funds, namely independent audits to ensure state school bond money is being spent appropriately. With Brown about to retire as governor, the state’s school bond market, and its billions of debt yet to be paid, will fall on the next governor. Because most school and community college districts “lack the financial savvy to avoid unnecessarily expensive bonds,” they often rely on for-profit companies to assist them with their bonds and construction needs, according to Tim Schaefer, deputy director for public finance in the state treasurer’s office, who testified before the Little Hoover Commission in Sacramento in September 2016. He said that well-intentioned people at the beginning of their political careers run for school board and are soon faced with multimillion-dollar decisions while hired experts are telling them it’s OK. “That strikes me as playing with financial matches,” Schaefer testified. Dozens of grand jury investigations have been critical of current practices in the school bond system and a handful of school officials have served jail time for how they’ve handed out some of that money. While many firms have been able to help districts pass bonds and build schools with little fanfare, some more egregious cases in recent years have attracted the attention of the DOJ, the FBI, and the SEC. Many of those cases involved CASH’s members. In 2012, several board members and a superintendent in a San Diego-area school district were convicted of corruption charges for accepting gifts and money from a contractor. The FBI has an active investigation into officials at Fresno Unified, the state’s fourth-largest school district, and campaign contributions from Harris Construction, a large Fresno-based contractor and CASH staple. Both of those latter cases were spurred by lawsuits filed on behalf of taxpayer watchdog groups from San Diego-based attorney Kevin Carlin, who specializes in school construction law. For 15 years, Carlin’s lawsuits have challenged a type of contract that had a loophole around state competitive bidding laws called the lease leaseback. From then until earlier this year when legislators closed the loophole, school districts used them to award construction projects to developers and contractors who donated the most to bond campaigns without going through the competitive bidding process. What was once used by school districts from as far north as Eureka and south to San Diego can be traced back to CASH’s annual conference in 2003, according to dozens of records requests filed throughout the state. In 2010, Harris Construction in Fresno and other CASH members hosted a workshop for school districts that were trying to pass school bonds. Speakers included higher-ups from Harris Construction; the president of CASH’s parent lobbying firm and its attorneys; Fresno’s mayor; area superintendents; and Terry Bradley, a well-known name in California’s school bond industry and CASH’s former chair Bradley, at the time, was also securing campaign contributions for a Fresno school bond, gathering more donations from Harris after informing them they’d be avoiding competitive bidding laws to handpick a contractor for the work, according to emails I obtained. Two speakers from that event — Bradley and an employee of Keygent, a school bond adviser — would later be involved in the first case prosecuted by the SEC under anti-fraud provisions of the Dodd–Frank Wall Street Reform and Consumer Protection Act. Authorities alleged in June 2016 that Bradley’s backdoor dealings with municipal advisors, or the people who managed school bonds for school districts, violated reforms that were created after predatory lenders caused the housing market to crash in 2008. Unbeknownst to many involved, around the same time Bradley was raising money for Fresno’s bond campaign, he was a consultant to five other school districts about their bonds and getting paid by Keygent, which was bidding for work in those districts. During that time, Bradley shared confidential information with Keygent managers, including questions ahead of interviews with district officials and what Keygent’s competitors were bidding. Keygent won five contracts in districts where Bradley was also a consultant. The SEC said he abused the trust he had gained as a key person in California’s school construction industry and as the former superintendent of the Clovis school district. He settled by paying a $50,000 fine in 2016 and was barred from acting as a municipal adviser on bonds in the future. Even after settling with the SEC, Bradley was still invited back to be a guest speaker at CASH events. His business, School Business Consulting Inc., was one of CASH’s sponsors of Prop. 51. Across the state, Keygent has been the financial adviser to more than $10.2 billion in bonds, according to state records. In the East Bay, Keygent’s clients include the Peralta Community and Contra Costa County college districts, Fremont Unified, and other school districts. One of Carlin’s ongoing lawsuits is against the Mount Diablo school district in Contra Costa County. 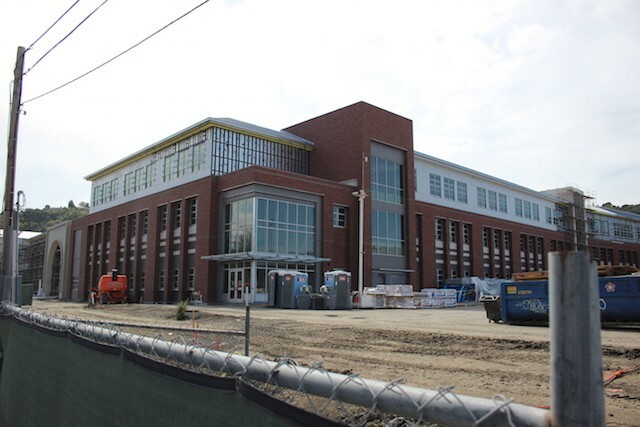 The lawsuit alleges the district hired a consultant for pre-construction services, which then ultimately picked itself to do the final construction, thus violating state conflict-of-interest laws. Through his legal work across the state, often at odds of CASH and its members, Carlin, like other taxpayer watchdogs, says some school districts aren’t motivated to safeguard school bond money. This report originally appeared in our sister publications, Oakland and Alameda magazines.